The 6th SuperGIS Youth Award had just come to an end last month. 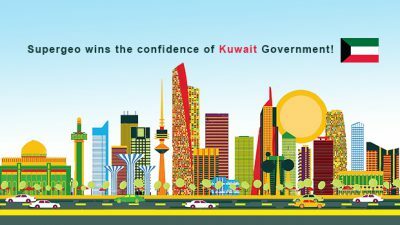 The effective promotion beforehand had attracted even more teams from different colleges to take part in this contest, comparing to the number of previous years. About 30 teams were involved in this event, making it a very intense competition. Also, participants came from various backgrounds, including tourism, CSIE, transportation science, distribution management, applied geomatics, which indicates the capability of GIS in solving problems across different industries. 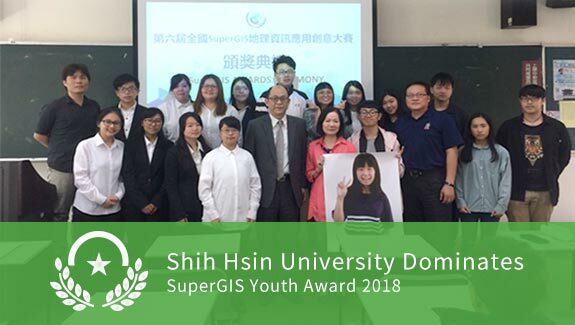 Held by Supergeo, SuperGIS Youth Award is an annual GIS competition aiming to raise geography awareness among college students in Taiwan. 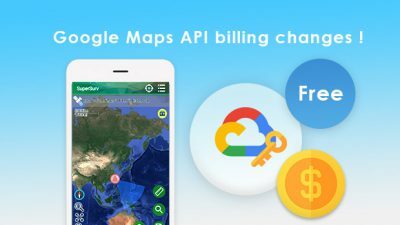 During the contest, students will have more hands-on experience in GIS software operation and will realize the importance of spatial information in many complex issues. After a thorough evaluation made by the senior staff of Supergeo, three excellent works and nine honorable mentions from all entries were selected. The team from Shih Hsin University was crowned champion again this year with the project “Applying GIS to Restroom Evaluation in Linjiang Street Night Market.” They included many clearly defined indicators in this project, used open data to generate the results, and provided practical suggestions in conclusion. Because of their creative ideas, comprehensive design, and complex operating procedures, the team had finally earned the highest recognition from the judges and won the first place. As this competition is a meaningful event for Supergeo, Super Wang, the general manager of Supergeo, attended the awards ceremony in person last month. Wang also gave a brief speech to encourage students to keep learning geospatial technologies after this contest and to know more about its strong capability in data analysis and visualization. Also, he stressed that GIS is powerful when applying it to make more scientific and accurate decisions.